Posted 23rd October 2018 & filed under Beauty and Skin, Photo Protection. There are thousands of skincare products on the market, which is best for your skin? Let’s talk about the difference between cosmetic and cosmeceutical products and the difference they can really make to your skin. 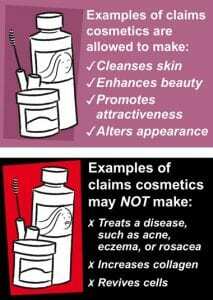 A cosmetic skincare product can be bought without prescription or recommendation, from any beauty retailers and is applied to the skins outer surface. Cosmetic skincare is not able pass through the epidermis and through to the dermis, where the skin can make visible changes, because the active ingredients are not a high enough strength. 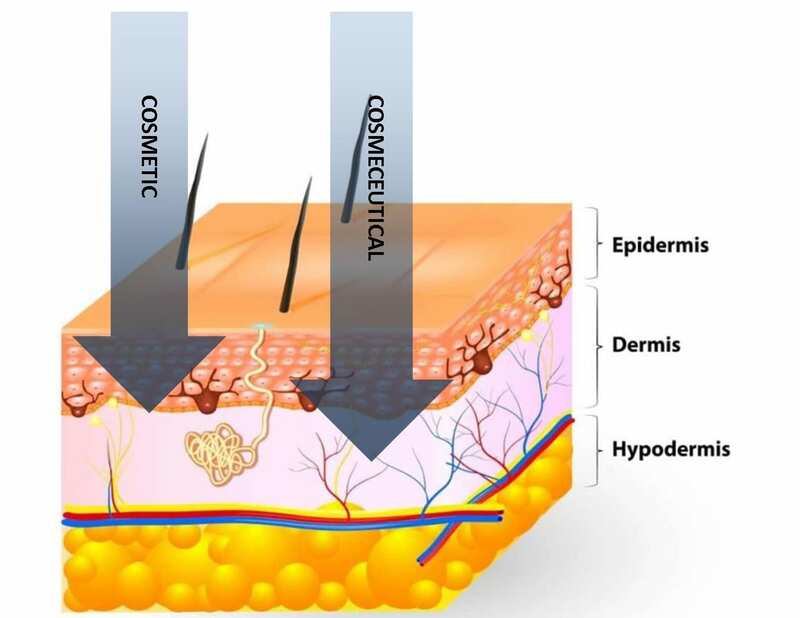 The dermis is where our fibroblasts are and where collagen and elastin is produced. Although cosmetic skincare cannot penetrate through to the dermis, it can exfoliate, add fragrance and hydrate the skins surface, this can make the skin appear to look brighter and feel smoother. In contrast, cosmeceutical skincare are able to penetrate through the epidermis, the active ingredients enable the products to pass through the epidermis and act deep within the dermis. Cosmeceutical skincare is extremely results driven and you will see visible changes to your skin. Your Skin will appear deeply hydrated, brighter, more radiant, fine lines and wrinkles reduced, the skin will be more balanced and pigmentation and sun damage supressed. A cosmeceutical product is not classifiable as a drug, despite being formulated with highly active principles. Where can I buy cosmeceutical skincare? Another difference between cosmetic and cosmeceuticals, is where you can purchase them. Backed by science, cosmeceuticals provide the most effective active ingredients for improving the skin and treating skin conditions. They are used by skincare professionals and can be purchased after recommendation/prescription from dermatologists, cosmetic doctors, nurses and aestheticians. 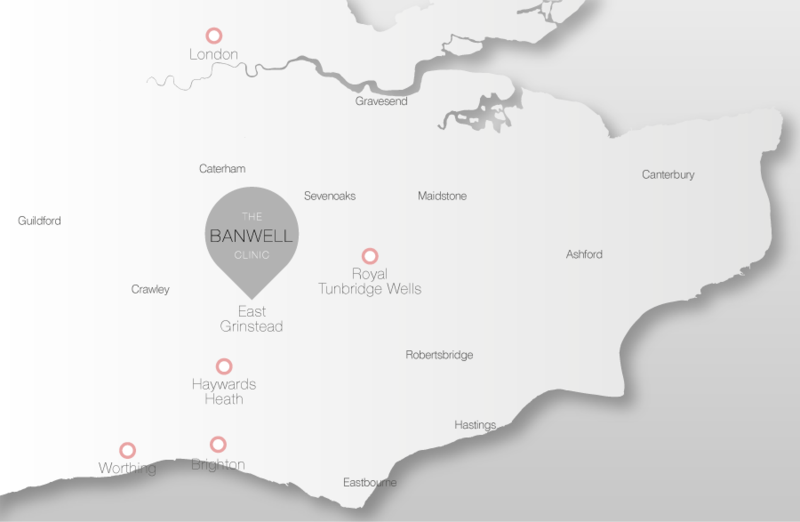 Come to see our skin experts at The Banwell Clinic for Cosmeceutical grade skincare and to find out the best skincare to suit your skin. Advanced medical-grade skin care (otherwise known as cosmeceuticals). Essential to block the harmful effects of UV light.